Are the Mormon Apostles Legitimate? As special witnesses, they speak in behalf of God. So do they walk and talk with Him? Mormon church leaders often speak over the pulpit with expressions like "The Lord expects..." or "The Lord wants..." or "The Lord is angry when..." as if they are literally the representative of God. Despite the church's lengthy and emphatic statements that "He Lives! ", many saints who ask Mormon Apostles if they have seen God in person report vaguely mystical but disappointing answers. More here. However, many if not most members believe their leaders have regular face-to-face conversations with God or Jesus. 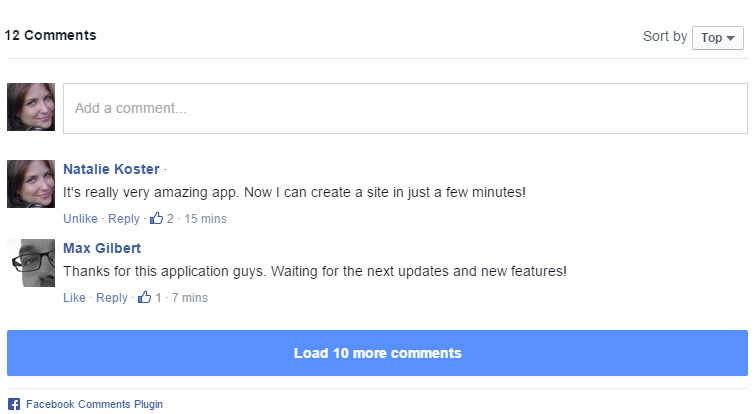 This technique is similar to how multi-level-marketing companys won't actually misstate facts, but rely on their members to exaggerate and take that final step over the line to make deliberate fabrications of their product's abilities. Did Lerenzo Snow See Jesus? 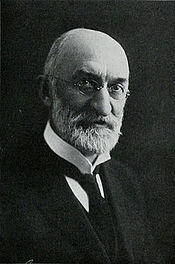 An account mentioned by Allie Young Pond, the granddaughter of Lorenzo Snow, claimed that when she was a young girl Snow gave her a private tour inside the temple one day when nobody else was there and showed her where Jesus and Heavenly Father appeared to him in the Salt Lake Temple in 1898 and told him he should assume presidency of the Church since Wilford Woodruff had just died. 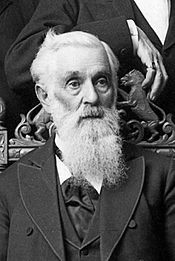 Despite being passed along through many generations of Mormon folklore, no other person has claimed to have heard this story from Lorenzo Snow except his young granddaughter. Heber J. Grant later discounted this story (see below). In an April 13, 1926 letter to Mrs. Claud Peery, Heber J. Grant states, "I know of no instance where the Lord has appeared to an individual since His appearance to the Prophet Joseph Smith." Note this quote discounts Lorenzo Snow's family story above. Joseph Fielding Smith says "Nope." "I did not live in the days of our Savior; he has not come to me in person. I have not beheld Him. His Father and He have not felt it necessary to grant me such a great blessing as this. But it is not necessary. I have felt his presence." 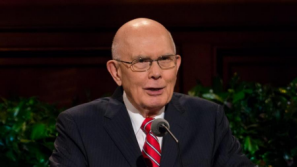 Dallin H. Oaks says "Nope"
"What should we pray for to receive the same testimony and/or conversion that Alma the Younger experienced, for our friends who are not members?" "I’ve never had an experience like that and I don’t know anyone among the 1st Presidency or Quorum of the 12 who’ve had that kind of experience. Yet everyone of us knows of a certainty the things that Alma knew. But it’s just that unless the Lord chooses to do it another way, as he sometimes does; for millions and millions of His children the testimony settles upon us gradually. Like so much dust on the windowsill or so much dew on the grass. One day you didn't have it and another day you did and you don’t know which day it happened. That’s the way I got my testimony. And then I knew it was true when it continued to grow." "...modern apostles are called to be witnesses of the name of Christ in all the world, Doctrine and Covenants 107:23. This is not to witness of a personal manifestation. 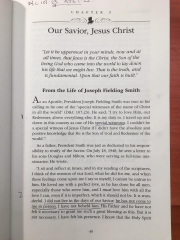 To witness of the name is to witness of the plan, the work, or mission such as the atonement and the authority or priesthood of the Lord Jesus Christ, which an apostle who holds the keys is uniquely responsible to do." 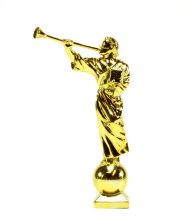 Do 2nd Anointing Recipients See Jesus? Tom Phillips, a past Stake President in England, reported his experience receiving his 2nd Anointing in 2002, after 33 years of church service. 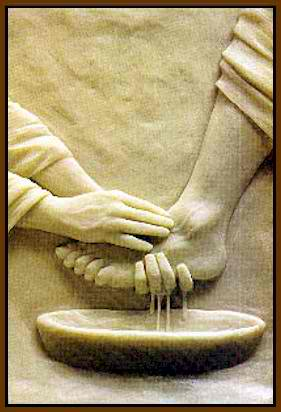 A Second Anointing is a super-secret, super-sacred ritual of feet washing that guarantee's someone entry into heaven. He was expecting to see Jesus Christ in the temple, but he saw Elder Ballard instead, who performed the ordinance.